A career in the field of conservation is something many people dream of. The need to protect and conserve our planet is becoming increasingly vital and more and more people are stepping up and pursuing this challenge as a career option. However, the competition to secure a position within the industry is undoubtedly fierce and companies and organisations are looking to employ the best to help the plight of planet Earth. 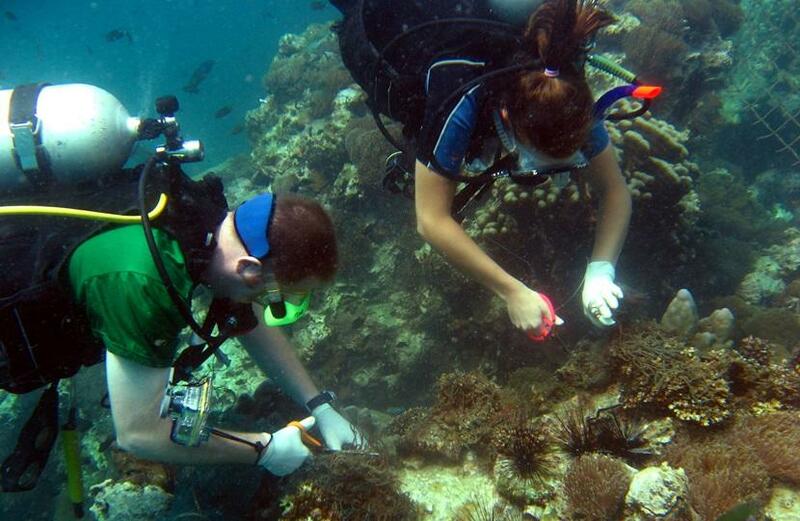 Ryan Kempster was a recently graduated marine biology student when he decided to sign up for our Conservation Project in Thailand back in 2006. He is now the founder of the shark conservation group Support Our Sharks and Sharkbase. Projects Abroad caught up with him to chat about his experience on the project and how it’s impacted his life today. You volunteered with Projects Abroad on the Thailand Conservation project in 2006, what made you choose that destination and project? After finishing my Marine Biology BSc at Bangor University, I was unsure about what I should do next as I wasn’t convinced that marine biology was really the career for me. This is when I decided to follow the typical student path of taking a gap year. I wanted to do something worthwhile with my time, so I started to investigate volunteering opportunities, which is when I discovered Projects Abroad. What were the highlights of your time in Thailand and how did it impact your future studies/career? Despite completing a 3 year undergraduate degree in marine biology, I had never been scuba diving or even snorkelled before volunteering with Projects Abroad. I wanted to experience all the things I had read about during my years of study to see if this really was the right career path for me. During the 3 months that I was with Projects Abroad I became a Master Scuba diver, completed almost 100 dives, saw more species than I could ever have imagined, and I met some amazing people along the way. 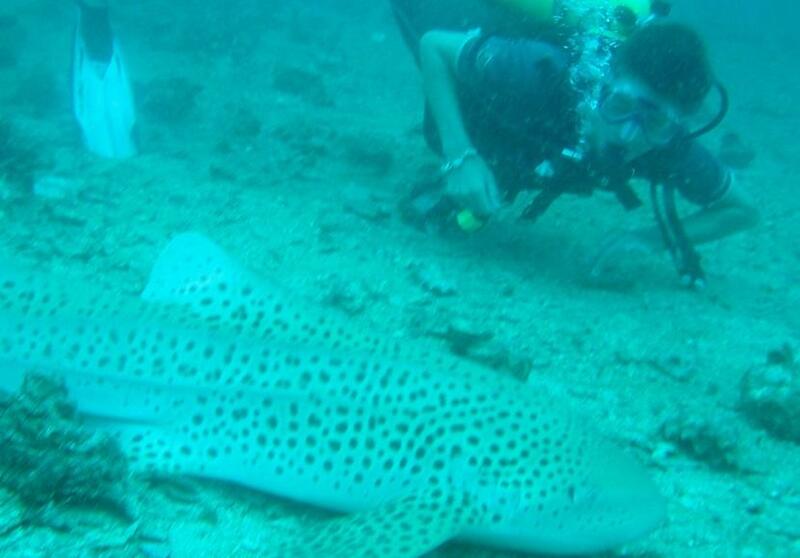 My experience in Thailand reignited my passion for marine science and kick started my interest in sharks as I had my first experience diving with a zebra shark while volunteering. Have you kept in touch with any of the other volunteers you were with in Thailand? Yes. I still keep in touch with some of my fellow volunteers and I regularly keep up with them through Facebook. You’re originally from the UK, how did you end up in Australia? When I returned home after volunteering in Thailand I had a renewed passion for marine conservation, which inspired me to continue my studies and complete an MSc in Marine Biology, with a focus on sharks. After which, I spent two years travelling the world working for a variety of marine conservation volunteering programmes, which included surveying coral reefs in The Bahamas, monitoring fish populations in Fiji and protecting sea turtles’ nests in Costa Rica. Through these experiences, I had many opportunities to get up close and personal with many different shark species, which is how I developed my passion for shark conservation. In 2010, I took my passion to the next level by applying to do a PhD at the University of Western Australia (UWA). My application was successful and, as a result, I was awarded an international scholarship to complete my research investigating the sensory biology of sharks. Why did you set up the Support our Sharks organisation? I founded the shark conservation group Support Our Sharks to inform the world about the plight of the most vulnerable shark species. As most sharks serve as top predators at the pinnacle of the marine food pyramid, they regulate the natural balance of these ecosystems. The effects of removing sharks from the ocean ecosystems, although complex and rather unpredictable, are likely to be ecologically and economically damaging. What are your hopes for future shark conservation efforts and how can people help this be achieved? It is my hope for the future that sharks, and their close relatives the rays, skates, and chimaeras, will be managed sustainably and valued for the important role they play in our ocean ecosystems. Through the combined efforts of scientists and members of the public, I am hopeful that we can secure the sustainable management of these important animals, and where necessary, the recovery of depleted populations. Involving members of the public in this process is key if we are to be successful, which is why I support the development of global citizen science programmes that collect vital information to support conservation efforts. Why are you passionate about shark conservation? Sharks play a vital role in the oceans in a way that the average fish does not. Most sharks serve as top predators at the pinnacle of the marine food pyramid, and so play a critical role in ocean ecosystems. Despite their important role, it is predicted that up to 273 million sharks are killed by humans every year, with an average of approximately 100 million. This equates to an average of almost 274,000 sharks every day. With so many sharks being removed from our oceans, their protection and conservation is of upmost importance if we wish to maintain a healthy balance in the world's oceans. 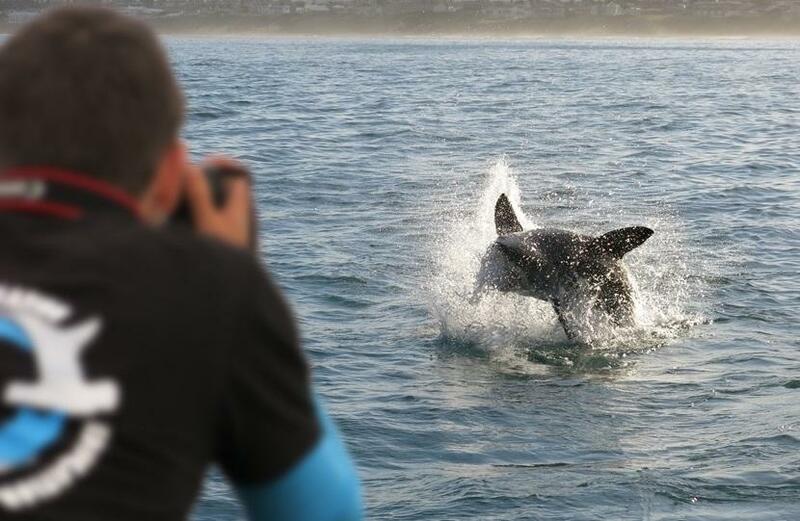 How are you now involved with Projects Abroad’s shark campaign and conservation projects? I recently launched a new Citizen Science project called SharkBase. SharkBase is a global sighting database established to assist scientists in mapping the distribution of sharks, rays, skates and chimaeras worldwide through the help of volunteer observers. By partnering with Projects Abroad we are expanding our global network of observers collecting vital information about these important species. 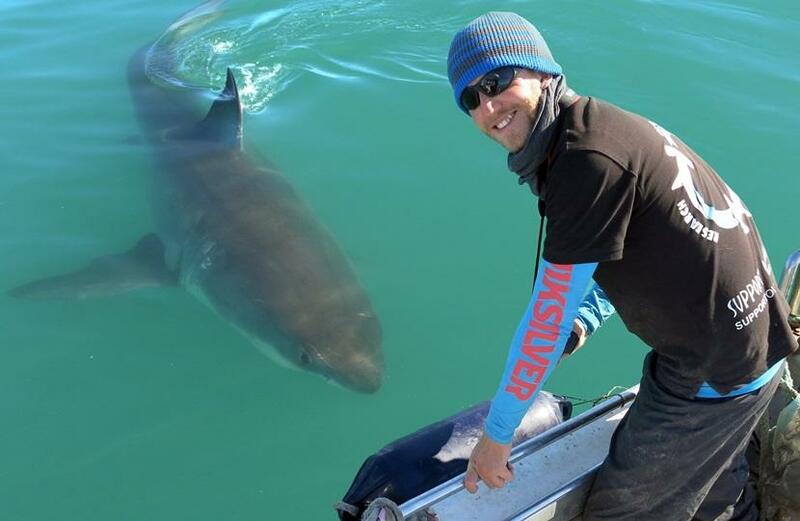 The help of Projects Abroad volunteers is a crucial part of the SharkBase project and will ensure that valuable data is made available to scientists around the world to assist in the conservation of vulnerable species. What other conservation related projects are you also currently working on? Through Support Our Sharks we have a number of important conservation projects in progress which include our Stop The Cull campaign and the Go Mercury Free campaign. The Stop The Cull campaign aims to stop the use of lethal shark control measures and encourages people to protect sharks and better educate themselves on how to stay safe in the ocean. The Go Mercury Free campaign aims to educate people about the high levels of mercury and other toxins found in shark meet and encourages them to say no to consuming sharks and other large predatory fish. Ryan’s story of career success through volunteering abroad is certainly an inspiring one. Has your volunteering experience led to the job of your dreams or helped you at work or university? Please feel free to share your comments below.